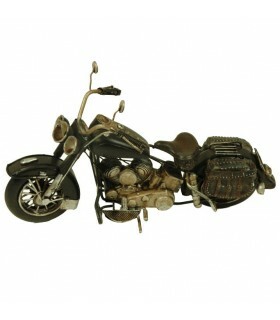 Thumbnails bikes There are 19 products. 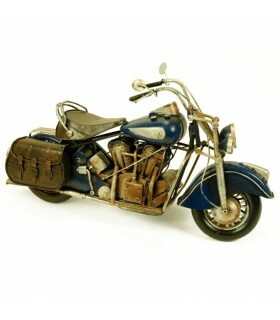 Miniature motorcycle type antique blue chopper. Made of metal. Measures: 37x13x20 cm. 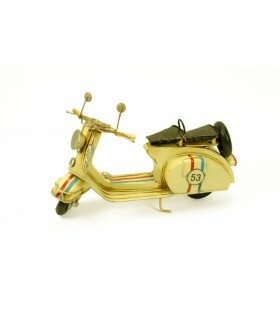 Miniature Vespa scooter. Made of metal. Dimensions: 25 x 9 x 15 cm. 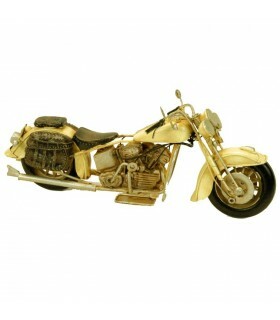 Miniature Harley Davidson made of metal. Dimensions: 28 x 10 x 15 cm. 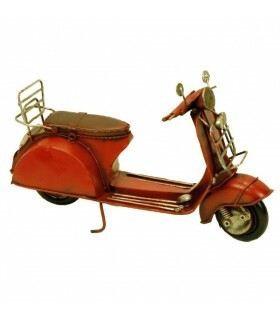 Miniature scooter. Made of metal. Dimensions: 26 x 9 x 18 cm. 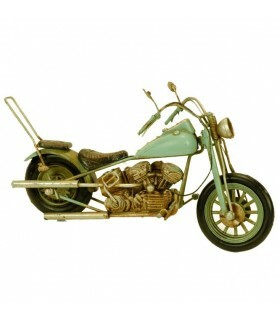 Miniature Chopper antique white motorcycle. Made of metal. Measures: 27x9x18 cm. 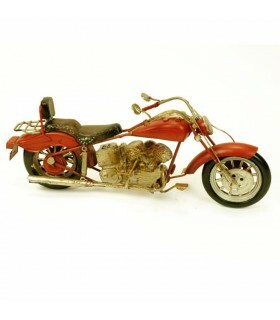 Miniature motorcycle type old red chopper. Made of metal. Measures: 29 x 9 x 13 cm. 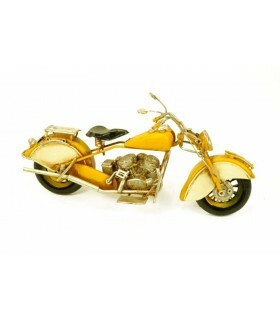 Old bike miniature. Made of metal. Measures: 28x10x15 cm. 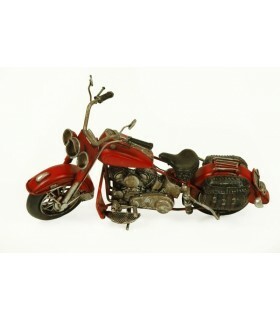 Miniature motorcycle old Harley Davidson red. Made of metal. Measures: 29x9x15 cm. 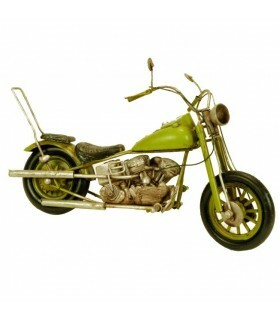 Miniature motorcycle old Harley Davidson green. Made of metal. Measures: 27x10x16 cm. 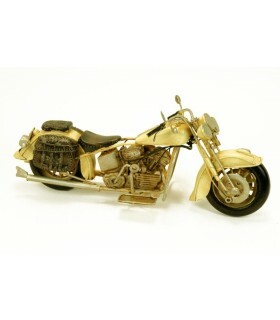 Miniature Harley Davidson made of metal. Dimensions: 29 x 10 x 12 cm. 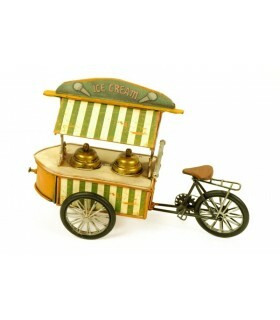 Miniature ice cream tricycle drawer. Made of metal. Dimensions: 30 x 11 x 20 cm. 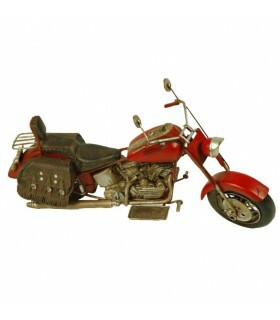 Miniature Antique white and red motorcycle. Made of metal. Dimensions: 45 x 15 x 26 cm. 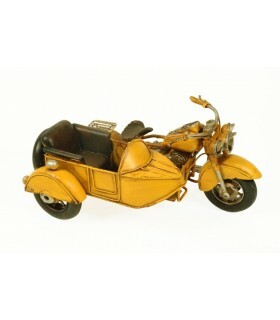 Miniature yellow sidecar. Made of metal. Dimensions: 19 x 13 x 10 cm. 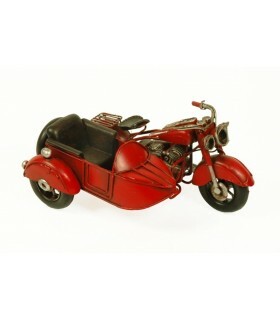 Miniature red sidecar. Made of metal. Dimensions: 19 x 13 x 10 cm. Miniature yellow old bike. Made of metal. Dimensions: 30 x 10 x 13 cm. 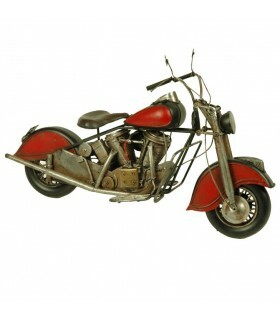 Miniature old red motorcycle. Made of metal. Measures: 38x15x23 cm. 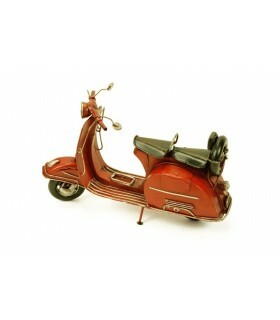 Miniature Vespa old red motorcycle. Made of metal. Measures: 26x8x14 cm. 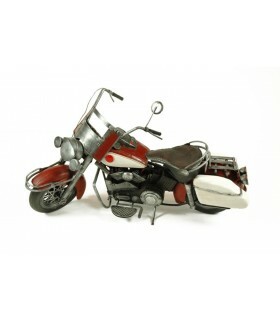 Miniature old motorcycle Harley Davidson. Made of metal. Measures: 29x10x12 cm. 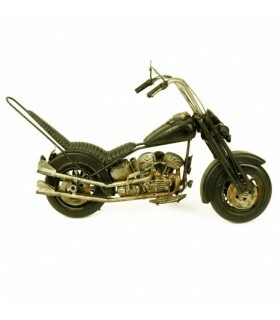 Miniature old motorcycle Harley Davidson. Made of metal. Measures: 27x10x16 cm.